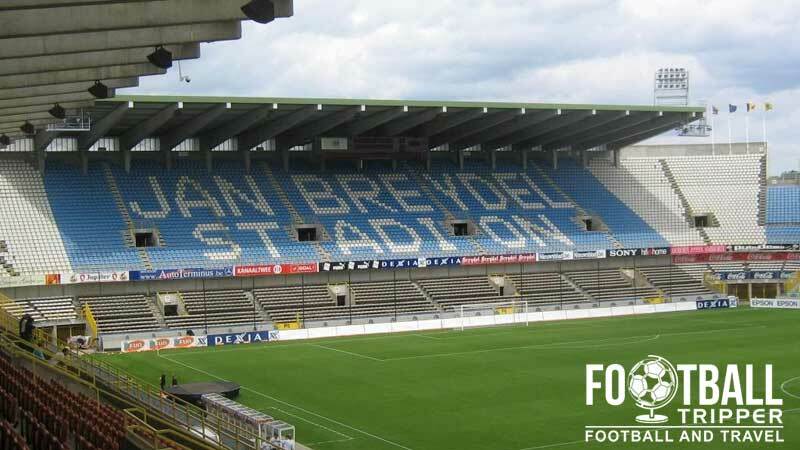 Jan Breydel Stadium is a multi-purpose football stadium located in the popular tourist destination of Bruges which belongs to the West Flanders province. 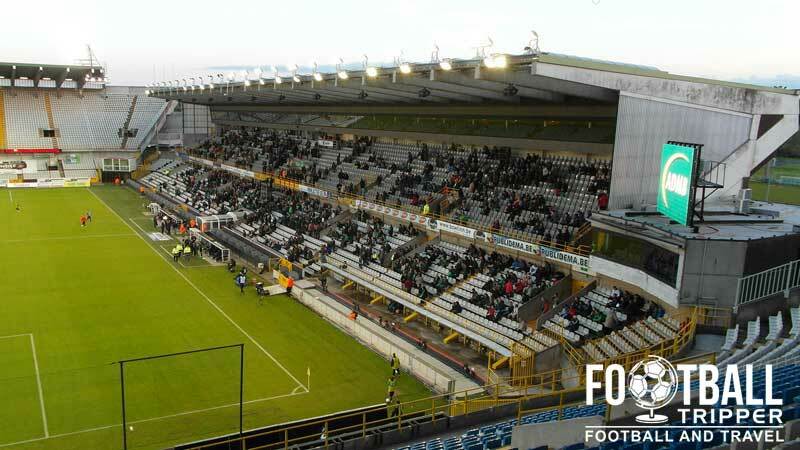 Home to two top-flight Belgian football teams, Cercle Brugge K.S.V and Club Brugge KV, the ground first opened in 1975 and has a current capacity of 29,472. Jan Breydel is a municipality owned stadium first built in 1975 and named after a fourteenth century Flemish Folk hero. Originally opening as the Olympiastadion, it began life as a multi-purpose sports arena but with football proving to be the most popular sport and Belgium being awarded the right to co-host the Euro 2000 tournament with Netherlands, the running track was eventually removed to make the ground more intimate for soccer fans. With a few high-profile stadium disasters across Europe. UEFA encouraged stadiums to become all-seaters and in 1993 Jan Breydel was largely converted which reduced the capacity down to 18,000. 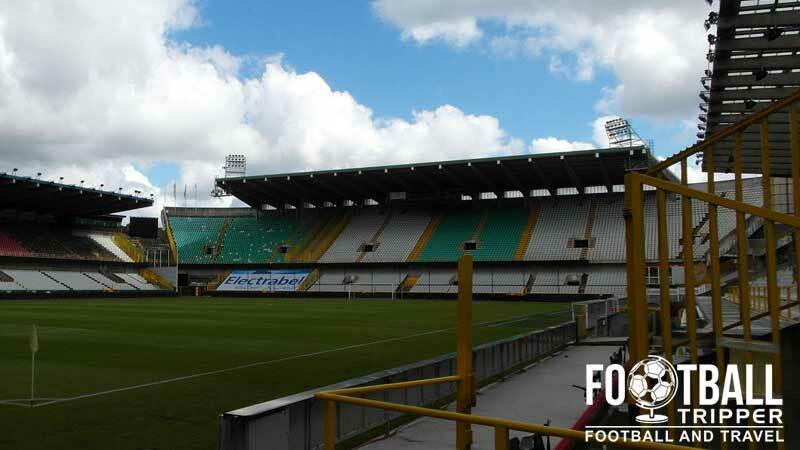 A few years later in 1995 when Brugge found out that it would be a host city for the Euros, this downsize was immediately irrelevant and the Jan Breydel Stadion was expanded to 30,000 in time for the tournament, albeit all seating. During the tournament Jan Breydel hosted thee group matches in addition to the quarter final match between Spain and eventual tournament winners France, who had just come off hosting and winning the 1998 World Cup. The stadium was famous in Belgium at the time for being the first football ground in the country to have its name displayed within the stands via use of contrasting coloured seats, which were arranged within the North Stand. 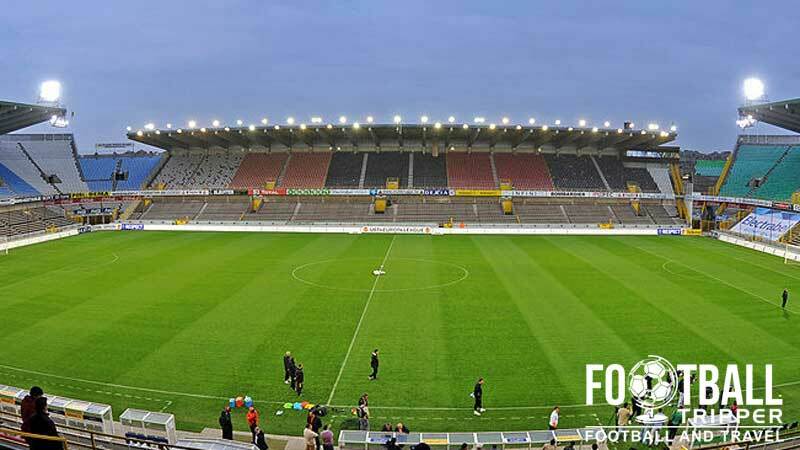 After the success of the tournament the new larger capacity remained unlike in the Stade du Pays de Charleroi which also hosted matches, with further renovations driven by both resident clubs rather than the local council as was the case prior to Euro 2000. Improvements include under-soil heating, two new LED screens and better corporate match day hospitality facilities. Jan Breydel is comprised of four stands: North, East, South and West. Club Brugge are the second must decorated football team in Belgium, behind their great rivals RSC Anderlecht, whereas their neighbours Cercle Brugge have spent the majority of their history within the Belgian Second Division! Club Brugge’s distinctive black and blue flags inside Jan Breydel on a matchday. With contrasting fortunes, Jan Breydelstadion has certainly seen it all since opening in 1975. Away fans are usually housed within the second tier of the south-east corner. In addition to the popular bars in the city centre there is the FCB Kaffee located north-west of the stadium, and the Zuid Lounge bar just south of the ground. Club Brugge operate a store at the stadium in addition to their own online shop known simply as The Club Shop. It doesn’t appear as if either Cercle or Club Brugge offer stadium tours of Jan Breydel. If this changes in the future we’ll be sure to update this section. The exterior of the main ticket office. It’s easily recognisable from its bright blue exterior and prominent sign! 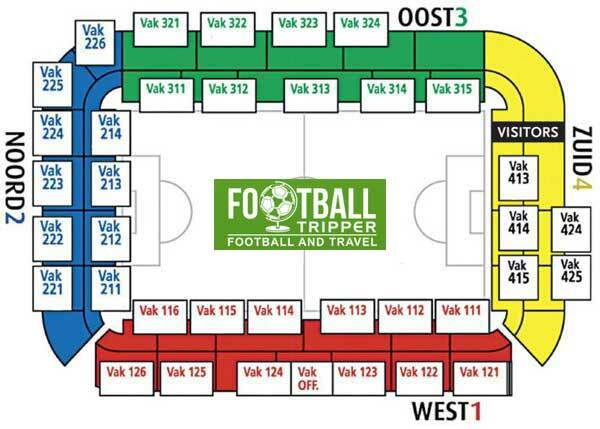 Tickets to see Club Brugge in action can be purchased from each stand at Jan Breydel stadium on matchdays providing there tickets remain, from the ticket office during the week leading up to the match, and online from the club’s website. *the second figure denotes the premium pricing category which is reserved for the high profile matches. Usually this is Anderlecht, Racing Genk, AA Gent, Standard and Cercle Brugge. Stadion Jan Breydel is approximately 4 km west of Bruge’s historic centre. Whilst walkable within the best part of an hour, many fans prefer to take some form of public transport outlined below. Brugge Railway Station sits south-west of the city centre around 3.2 km from the stadium. Whilst it is great for travelling around Flanders, Belgium and Europe, there aren’t any services which will take you to Jan Breydel as the city is deemed too small. Outside the main train station you can catch buses 5 and 15 to Sint-Andries stop. The journey costs a few euros for a return and takes approximately 15 minutes. With a bit of luck you should be able to get a taxi to the stadium in the hours leading up to the match for around €10.00. Afterwards you might struggle however. This is the main railway station of Brugge which you may or may not use depending on how you like to travel. Although located out of town parking at Jan Breytdelstadion remains very limited which means you may wish to ditch you car in the city centre, and take the bus. As Belgium is a very compact country you might not be surprised to find that Bruges lacks its own airport. Instead most of the country’s flights come in and out of Brussels International Airport, which can be accessed via a purpose built train station in no more than 1 hour and 20 minutes from Bruges. The closest hotel to the stadium is arguably the Hotel Olympia at around 2.8 miles away, however as this is so close to the city centre you may as well look for something more picturesque. Just across the other side of the Vesten canal/river there are numerous hotels which are more than affordable.